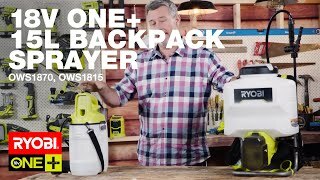 Take the stresses and strains out of backyard spraying with the RYOBI 18V ONE+ 15L Backpack Sprayer. This comfortable unit powers all your spraying, to save you the hassle of pumping the solution. And instead of carrying 15L, the handy built-in backpack can support the weight more comfortably. The solid metal frame ensures that the weight is distributed evenly, so keeping your balance won’t be a struggle. 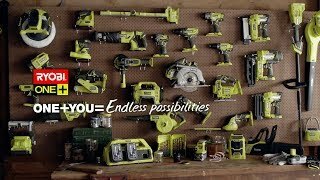 The performance you can expect from the RYOBI 18V ONE+ 15L Backpack Sprayer is just as impressive as its convenience. The adjustable fan spray nozzle helps you deliver the fan or jet you need for that particular job. And with the lock on feature, you can spray without any pumping or holding down of the nozzle. For an easy solution to spraying around the garden, get yourself the RYOBI 18V ONE+ 15L Backpack Sprayer from your local Bunnings Warehouse. *This product is not to be used with bleach or bleach type substances.